Philip Ward established Ward Damon in 1987 and is the Managing Partner. His practice involves complex business transactions, contracts, commercial real estate, commercial lending, and a myriad of other business issues. Mr. Ward has served as a board member and managing director of various companies and has a depth of knowledge on business issues which has helped him to guide Ward Damon business clients through a wide range of legal and business issues. Mr. Ward also has considerable experience with intellectual property transactions including development contracts and licensing transactions in the U.S., as well as international transactions. 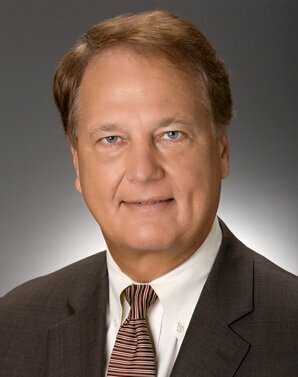 His licensing practice has included such diverse products as hydrogen PEM fuel cells, streaming and other software licenses, and new varieties of plants in the Florida citrus industry. Mr. Ward has been very active in the community and currently serves as Trustee, Palm Beach State College (appointed by Governor Scott), a Member of the Board of Directors of the Economic Council, Chairman, Palm Beach County Infrastructure Surtax Independent Citizen Oversight Committee, Advisory Board Member, FAU Tech Runway, Vice Chairman and Trustee, BIZPAC and a Member of the Business Development Board. Mr. Ward is a resident of Jupiter, a member of Jonathan’s Landing Golf Club, an avid private pilot, and active in business and development activities in The Bahamas. Mr. Ward is married with two children, one of which, Cathleen, is an attorney practicing with Mr. Ward.